Page created: 10-Oct-2015, updated: 17-Dec-2015, 23-Dec-2015, 05-Jan-2016, 14-Jan-2016, 15-Jan-2016, 19-Jan-2016, 20-Jan-2016, 22-Jan-2016, 23-Jan-2016, 24-Jan-2016, 9-Feb-2016, 13-Feb-2016. Hotel: Radisson Blu Hotel, Istanbul Sisli, Istanbul, Turkey. The Radisson Blu is a recently-built hotel in the Sisli area of downtown Istanbul. It is within easy walking distance of metro and bus stations and the Cevahir Shopping Mall, one of the largest in Turkey and all of Europe. Free wifi is available in all meeting and guest rooms. Suggested transportation from the airport is by taxi. Limited bus transportation by TRT: Turkish Radio and Television has informed us that TRT will provide limited bus transportation for conference delegates between Istanbul Ataturk Airport and the Radisson Blu Sisli hotel at peak times when many delegates will be arriving around the same time. According to the latest news from the TRT, the transportation service may be available at other times in addition to the times specified in the schedule. Please, look for a person holding a TRT/HFCC banner before taking a taxi. 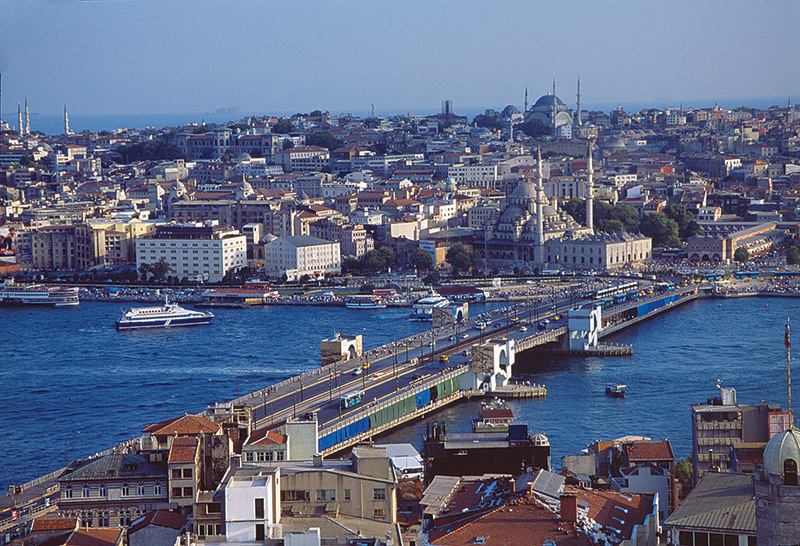 Please note that TRT will not provide transportation from the airport on the Asian side of Istanbul. The buses will only operate from Ataturk airport on the European side of Istanbul. Costs for HFCC/ASBU/ABU-HFC Delegates: In addition to the hotel accommodation room rate, each delegate must pay the HFCC Conference Fee of 100 euros and the Radisson Blu Hotel Conference Package Fee of 250 euros plus VAT (total 295 euros), as specified below. Room Rate: 115 euros single/125 euros double occupancy, including breakfast, plus 8% local tax. The Hotel Conference Package Fee is payable to the hotel upon arrival. Hotel Reservation Deadline: 01 January 2016. Reservations made after this date are subject to availability of rooms and at the current room rate. Hotel Reservation Procedure: HFCC/ASBU delegates should make their hotel reservations directly with the Radisson Blu Hotel no later than 01 January 2016 by downloading and filling out the hotel reservation form at the link below, and scanning and e-mailing it to the hotel at the address indicated on the form. Reservations and the Hotel Conference Package Fee will be guaranteed by your credit card at the time of reservation, and will be payable in full upon arrival at the hotel. Important Note: If you do not plan to stay at the Radisson Blu Hotel, you still need to reserve your Hotel Conference Package at the hotel no later than 01 January 2016 and guarantee it with a credit card. Hotel Reservation Form NOTE: The form no longer shows the correct conference rate. Please book your room by e-mail with <ozge.celebi@radissonblu.com> Alternatively (or in parallel), you can book your room using the form irrespective of the rate. The rate will be adjusted to the Conference Rate on your arrival. Change the Check-in and Check-out dates on the left side of the page that appears when you open the link. (No need to fill in the destination.) Then click "Search again". The dates on the right side will change and you can proceed to the next page by clicking "Book now". Hotel Cancellation Deadline: 01 January 2016. If you cancel a reservation after this date, the hotel will charge a cancellation penalty as indicated on the online hotel reservation link. Visa information: Most nationalities require a visa to visit Turkey. Many nationalities can apply for a visa online. You can find more visa information on the goturkey.com Turkish tourism website indicated below.